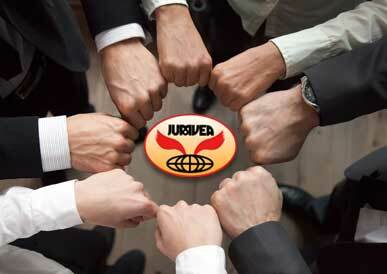 Our organization began on September 14, 1995 as the Japan Used Motor Vehicle Exporters Alliance. On June 1, 1997, with the approval of the Ministry of International Trade and Industry, our organization was incorporated as JAPAN USED MOTOR VEHICLE EXPORTERS ASSOCIATION. The drastically eased regulations regarding the export and the influence of the simplification of business caused that it had become possible for anyone to easily engage the export business, and the sharp increase in the numbers of the exporters of used motor vehicles. As a result there appeared more stringent competition and a rapid increase in illegal exports, including the export of stolen vehicles and illegally rebuilt or remodeled vehicles. Preventing such illegal conduct and unfair export has become an urgent task for the used motor vehicle export industry. Meanwhile, the demand for used motor vehicles was expected to further increase in countries around the world where, an economic foundation is in the process of being established, because of the excellent quality and fair prices of Japanese used motor vehicles. Through mutual cooperation among members, it is the purpose of this Association to contribute to the mutual development of membersf business and the sound distribution of used motor vehicles, promoting close exchange of information, developing more profitable markets, ensuring the availability of products for export and promoting the rationalization of shipping.